I believe in the dankness of the memes. [UPDATED!] 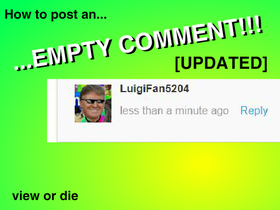 How To Post an Empty Comment! Scratch Goes to Outer Space Series Collection!